A strong business case for a transition to SAP S/4HANA is critical to gain necessary buy-in and support your investment. While SAP’s free tools can help you begin this process, any business case must be based on the unique needs of your organization and its users. In our experience, a design thinking or innovation workshop held with members from across your business is an essential step to creating a clear and robust business case. Working together, review both your Pathfinder report and Transformation Navigator report in detail to assess potential impacts to your organization. 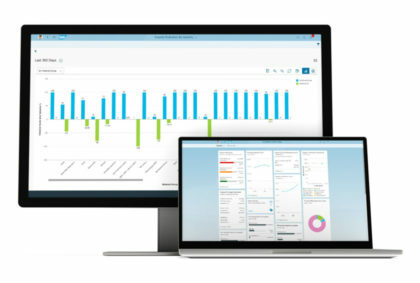 Fiori applications, which provide a task-oriented modern user experience. The Universal Journal, which removes the need for reconciliation and hence facilitates faster, more reliable and more frequent financial closes. Visibility to profitability analysis at all levels of the organization. Real-time analysis. Having all your data accessible immediately and directly out of your transactional database (no longer needing to extract to a data warehouse) will impact your ability to make faster and smarter decisions, and provide the ability for real-time forecasts and simulations. Performance improvements. Benefits in this area generally include faster reporting times and faster processing, thus enabling the removal of batch jobs and instant access to the results of MRP runs. New functionalities. Assess the impacts of S/4HANA’s new core functionalities, including Central Finance, SAP Cash Management, and embedded business planning and consolidations. IT benefits. S/4HANA’s simplified landscape can drive technical improvements, such as reduction of database size. New ways of doing business. S/4HANA can also drive other changes to business processes, such as enabling exception-based management or real-time business management. As you classify and categorize benefits and other impacts, assess the relative importance of each area. Which areas are the top priorities or will have the greatest potential benefit for your organization? Use this information to create an S/4HANA heatmap that clearly highlights the areas of greatest value and ROI. Together, these areas create the core of the business case needed to support and validate your investment. Evaluate the process to prepare your current SAP system. Based on your transition assessment, evaluate what will be required to get your current SAP ERP system cleaned up and ready for the transition process. This can include deleting unused custom programs, returning used custom programs to standard SAP wherever possible, and reviewing and identifying specific business processes that can be updated to adhere to best practices. Be clear on business process improvements. Create an outline of all business process improvements that will be achieved through a move to S/4HANA, with clear values or ROI attached to each area. Consider: what is the cost of adopting these improvements? Do you have defined measures for each benefit, or ways to clearly demonstrate the impacts of improvements? Do you have your team’s buy-in for these process changes, or is additional time or effort required to gain that backing? Choose your adoption strategy. There are three core methods of moving your business to S/4HANA: a new implementation, a system conversion, or a landscape transformation. After assessing each option, decide which strategy best meets the needs of your business, now and in the future. As you develop and finalize your business case, remember to look at the current S/4HANA functionality as well as the product roadmap, which outlines what’s to come in future releases. Given that SAP adds to and refines S/4HANA with each release, there may be additional benefits or impact areas for you to consider in light of your timelines for transition.